Written by Jim Hunt on September 2nd, 2015 January 30th, 2019 . 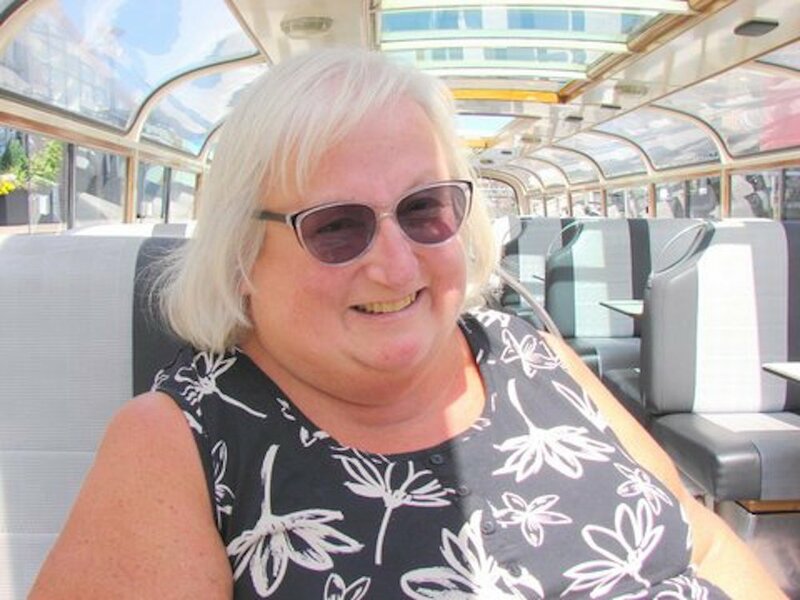 Retired graduate chartered librarian Cate Jackson, 61 from Whitstable, has type-2 diabetes, congestive heart failure, COPD, sleep apnea and osteo-arthritis as well as MS. Her secret? Always trying to “look on the bright side of life” as the Monty Python team expounded! “There’s never a ‘good’ time to be diagnosed with MS, but mine came at a particularly unwelcome point; it started just two weeks into married life with Jake, my husband. Returning from honeymoon to work as a Kent County librarian in 1990, I realised I couldn’t read the reports on my desk. This turned out to be retina neuritis, associated with MS, and I did not work in Kent County Library again. In 1991, my problems were diagnosed by two simple tests. I was asked to stand facing a wall with my feet together and eyes closed, while my consultant stood behind me counting the seconds until I fell. He also tested my feet reflex action. There were no MRI scans back then! Delivering the verdict three months after I’d spotted first symptoms, the consultant added: ‘You’ll die with MS, not because of it’. In my case, that was the best thing I could hear: I knew, with help and support, I could deal with whatever it threw at me. I wanted and needed to give Jake an ‘out’ from newly-married life. In my mind, it wasn’t fair; he hadn’t known he was marrying someone with MS, I told him, so he should have the choice to dissolve the marriage. Jake said he had no intention of doing such a thing, and he’s been by my side ever since. We celebrated our 25th wedding anniversary this year. Like many people with MS, I was forced to take early retirement. Leaving a role I loved in 1991 at the age of 37 felt incredibly poignant but, as a change of circumstance, as a volunteer I was able to immerse myself in handling admin for Jake’s security business. It made me privately giggle as I dealt on the phone with national firms, private individuals and the police… in my pyjamas. Jake sold the company in 2000, and this time I used my time and my teaching certificate for further and higher education. I became a member of an innovative group of individuals organized by KCC, Training Enables Never Disables (TREND). We taught members of Kent Adult Social Services – from management through to admin staff – about personalization. I became very involved in this work for Kent County Council. 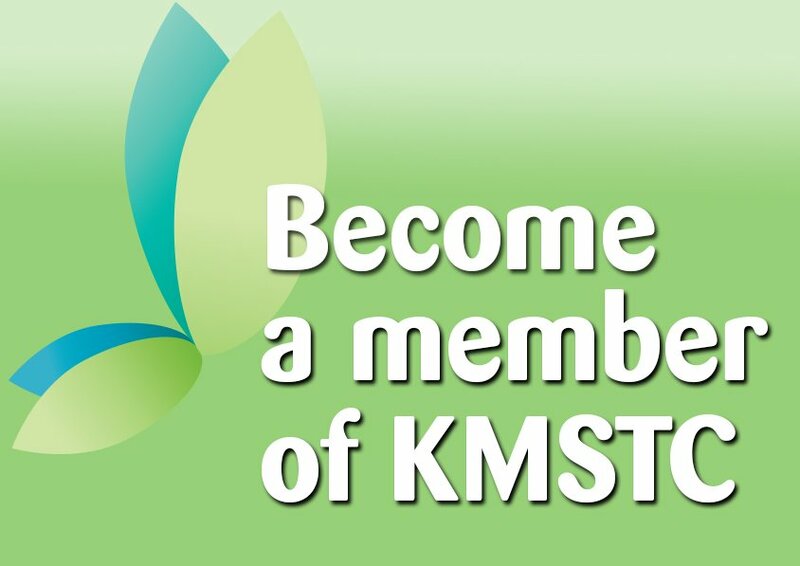 I became a governor and representative for Kent Link, was selected as a member of the Patient Experience Group for Kent Community Healthcare Trust (KCHT) plus Kent Link asked me to represent them on the KCHT Board. I learnt a lot and I hope my input in each venture was useful. Throughout it all, the elephant was in the room, joined exponentially by the other long-term conditions. From my other ‘conditions’ I’ve had a variety of stays in the facilities of East Kent Hospitals University NHS Foundation Trust, including a recent and rather spectacular visit to William Harvey Intensive Care and then 10 days on a ward. I have problems with my feet and legs. This is a combination of diabetes and MS. I can walk unaided at home by furniture-hopping, but outside I use a rollator or a mobility scooter. I have a scooter which lives in my motability car and I can drive myself around (although I now need Jake’s help to extricate the scooter). But my rollator is always ready and waiting. Being my own person is important to me, and the car gives me the freedom to go out with friends when I choose. When I am not the designated driver, I will drink a chilled dry white wine. It’s funny that when everyone else has had a drink they may wobble a bit, whereas I walk straight. In fact, a friend called me up after a particular night out and accused me of drinking a lot as I was walking in a very straight manner! I have a brilliant carer, Sandra, who comes in every morning to get me ready. She knows how to gauge my mood and to judge how quickly I’ll be working that day. Around 15 years ago, my diabetes had turned my legs such a smart shade of navy blue that my new MS consultant said I needed a below-the-knee amputation. Sandra however, has robustly creamed my legs to aid circulation, for half an hour every morning, and, so far, this has saved them. I know I’ll lose them eventually, but at the moment I have the most looked-after lower legs in the business. Who else can say that? Soon after I was diagnosed with MS, Jules Beaumont, my MS specialist nurse, told me about Kent MS Therapy Centre, but “I don’t need anything like that – I can do it all by myself,” I thought. Then I heard there was an Oxygen Therapy chamber, and decided to try the experience. Before long, I was having thrice-weekly fixes. For me, Oxygen Therapy works, and frankly I don’t care if it’s my mind convincing me of that. If I feel better because I’ve done something, I’ll do it. 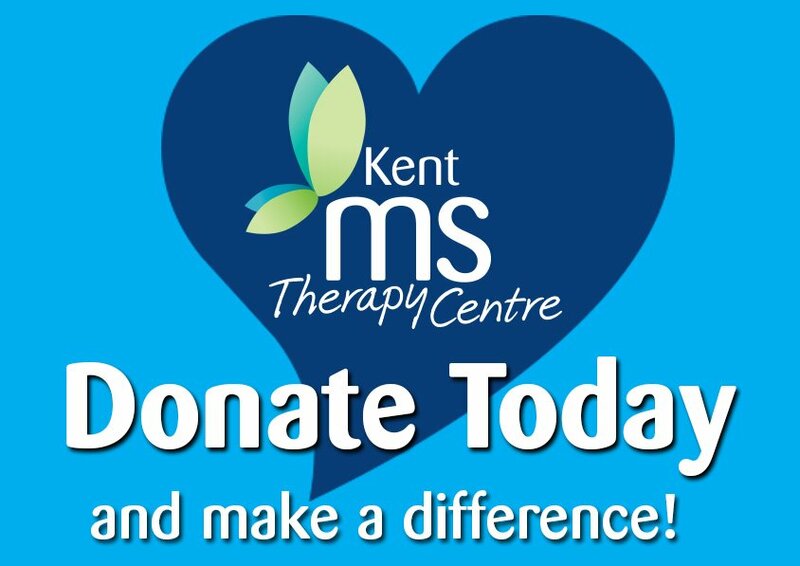 The community of the Kent MS Therapy Centre: the variety of therapies on offer, the personnel, particularly member support manager Karen Middlemiss, the associated Red Wheelies, have all become an important part of my life. The new building is spectacular – hats off to everyone who helped raise the finances to build it. It retains the brilliant atmosphere and camaraderie of the old facilities; the same feeling of everyone pulling together has transferred brilliantly.